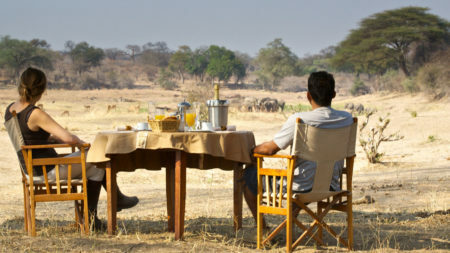 There is no better country in Africa for safari or honeymoon. The many parks all offer something different. Whether that be the Serengeti for the famous migration, boating safaris in the Selous, looking for tree climbing lions in Lake Manyara or getting away from the crowds in Ruaha, you won’t be disappointed. 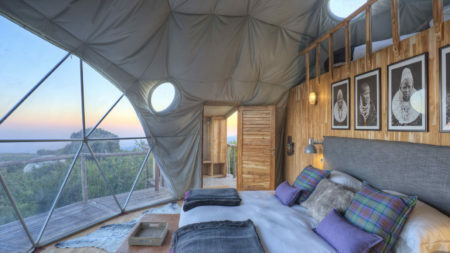 The first thing to decide, is where you want to take your safari. In the North or South? The famous northern circuit hosts the Great Migration, which in turn attracts the largest number of predators in Africa. The Serengeti is enormous and certain camps move with the migration whilst others are permanent. Time spent in the Serengeti is best combined with either Lake Manyara & Tarangire, with a few nights at the Ngorongoro Crater. The South is home to the lesser visited Selous and Ruaha parks, both of which offer something different to the north and are less expensive. In the Selous you can take walking, boating and driving safaris, whilst Ruaha has all the game and fewer visitors. Off its coastline, lies the Indian Ocean and a wealth of islands and pristine beaches. 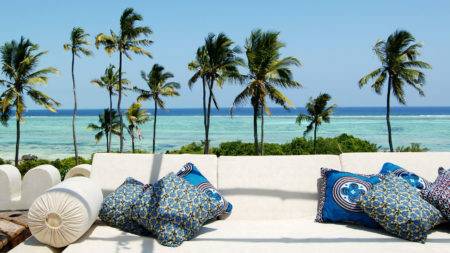 Zanzibar is the main island and where you will find a variety of lodges to suit anyone’s budget. Be aware however that the east coast is particularly tidal, so expect a walk to reach the ocean at times! To the north and south are a number of smaller, but no less interesting islands. Pemba to the north is home to world class diving and some rustic accommodation. Mafia Island to the south also has excellent diving and snorkelling, although the beaches are not quite as good as Zanzibar. 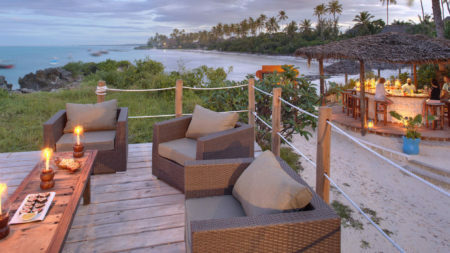 There is also Mnemba Island lodge, a private island which is the definition of barefoot luxury. Each area of the country, and to a certain extent each park, all have their own ‘best time visit’. As a general rule the best time is the dry season, from June to October, and again from December to March. Please see more information on each area of the country below and when to go. No other park in Africa compares to the Serengeti. Home to the great migration and a place where you will find the highest concentration of predators in Africa, it seems to have it all. These endless African plains contain a small number of acacia trees and watering holes, which in turn attract large swathes of game. It’s a place that stirs the imagination and where you won’t be disappointed. Being here for the migration is an obvious choice. However, this is a really popular park, so do expect to see a lot of other vehicles during this time. It’s woth considering visiting when the migration is not occurring, or being in a part of the park where the migration is not resident. You will still see a tremendous amount of game, but without so many other vehicles. The Ngorongoro Crater is an African landmark. An intact volcanic caldera that drops 600 metres to the crater floor, containing fertile soil, year round watering holes and the Big Five. Other game include over thirty endangered black rhino. As with all game viewing, you do need to manage expectations. This is another very popular park and with only one way in and out, it can be very busy. 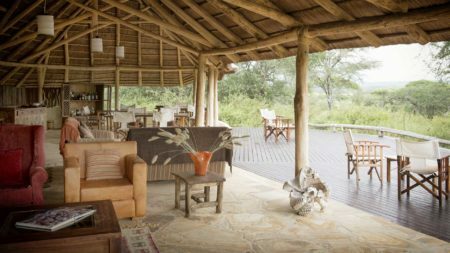 There are a number of lodges in the area, but we have hand-picked select few, including the luxurious ‘The Highlands’. Staying close to the entrance allows you to be first through the park gates when it opens, though if this does not appeal there are a number of alternatives. Some larger hotels have emerged over the years, which have proved hugely popular. 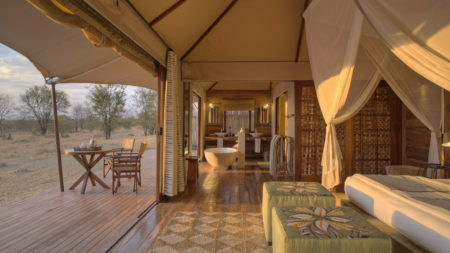 Yet we still prefer the smaller more intimate lodges, which may be slightly further away, but are definitely worth it. Lake Manyara is the starting point of the ‘Northern Circuit’. The park is mainly made up of the lake itself, covering nearly two thirds of the park. It’s become famous over the years for spotting tree climbing lions. Lake Manyara can get very busy because of its size and because most safaris in the north start here. 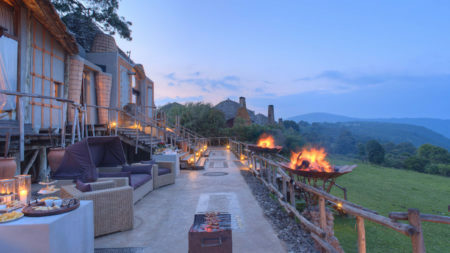 We recommend visiting it en-route to the Ngorongoro Crater or the Serengeti. Head to the far south of the park, which receives fewer visitors and where the great rift valley is at its most spectacular. Tarangire national park lies to the south of Lake Manyara. It is larger and receives fewer visitors. For us this is the perfect place to start your northern circuit. 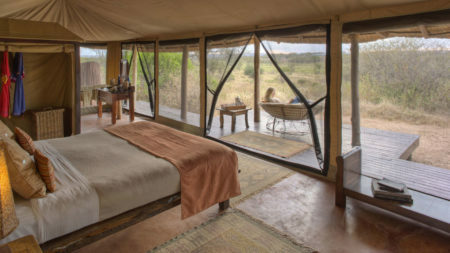 Spend a few nights in one of the select lodges in the southern part before heading off to greater things in the Serengeti. The park is best known for its elephant migration. From July to November, approximately 3,000 march through the park. 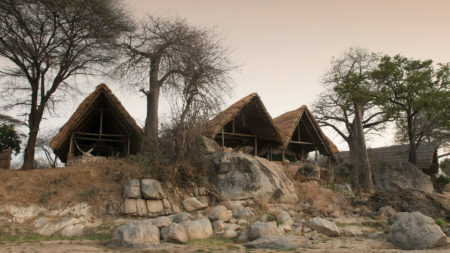 The park also has a different topography to its northern neighbouring parks and is more similar to Ruaha in the south, giving you a more diverse safari experience. 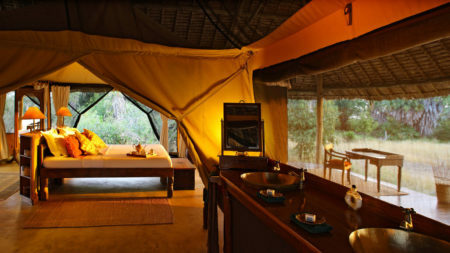 Tarangire is also the only park where it is possible to do night safaris as well as walking and fly camping. Walking and fly camping is normally reserved for the parks in the south, making Tarangire the best place to start. The Selous Game Reserve is the starting point of the ‘Southern Circuit’. Its closeness to both Zanzibar and Dar es Salaam make it the ideal place if you are after just a short safari, or a beach-safari holiday. The best time of year to be here is from July through to the beginning of November. The Selous is Africa’s largest park and can effectively be split into two. North of the Rufiji River is especially good for safaris, whilst south of the river, the game can be skittish due to excessive poaching over the years. 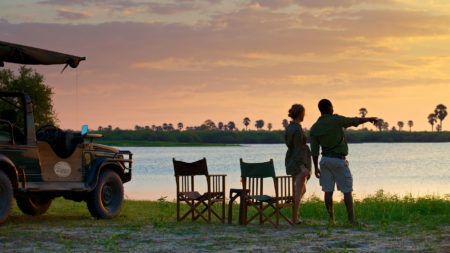 The Selous is famous for its variety of safari activities. Boating, walking and driving safaris can all be done here. The Rufiji River is the lifeblood of the park and it’s said they have the highest concentration of hippo, buffalo and elephant than anywhere in Africa. It is also a park where you have a very good opportunity for seeing the elusive wild dog, as well as all the other major predators. 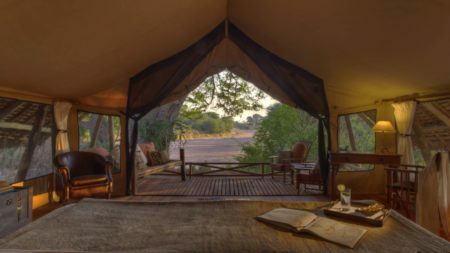 Ruaha National Park is probably our favourite park in Africa. That is saying something when you think of the competition; Serengeti, Luangwa, Okavango Delta, Masai Mara…!! Its sheer size, topographical diversity, varied game and birdlife and lack of other travellers, makes this an unbeatable park. 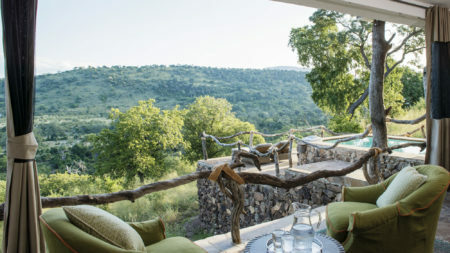 Game drives here are first class and incorporate rivers, dry river beds, anthills, kopje’s, thick forest, sparse acacia trees and open plains. This off the beaten track national park is a hidden gem and for any serious safari connoisseur it is an absolute must. Zanzibar is the best known and largest of the islands off Tanzania’s coast. 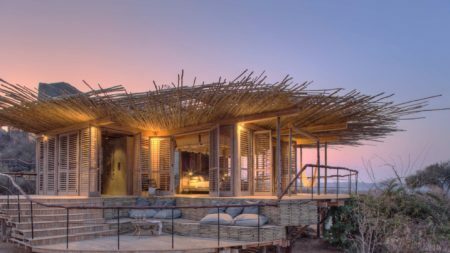 Surrounded by turquoise Indian Ocean waters, palm fringed beaches, coral reefs and pristine white sands, this is the perfect place to have some downtime after a safari. The capital, Stone Town is worth a brief visit with its maze of backstreets and local markets, but it the beaches you come here for. Each part of the island offers something different. The east coast is prone to tidal waters and the north is close to some world class diving. Talk to us to make sure you stay in the right area of the island. There are also a few smaller islands to the north and south of Zanzibar that are also worth considering. To the north is Pemba Island, which offers some world-class diving and some rustic lodges. 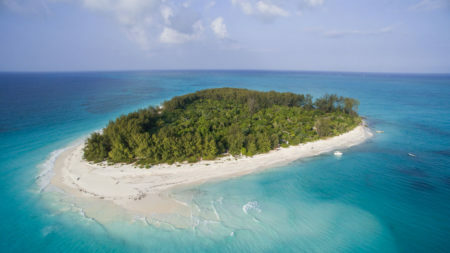 Mafia Island to the south, also has some excellent diving and snorkelling and is another off the beaten track escape. 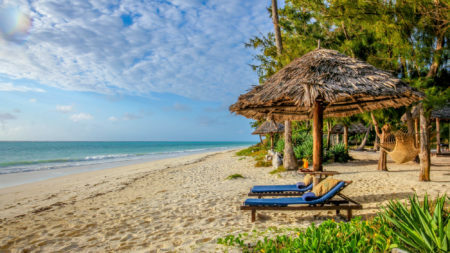 There are also a few selected beach places on the mainland, of which Ras Kutani is the pick of the bunch as it is a short nine minute internal flight from Dar es Salaam, making it the perfect place to kick back and relax immediately after arriving.